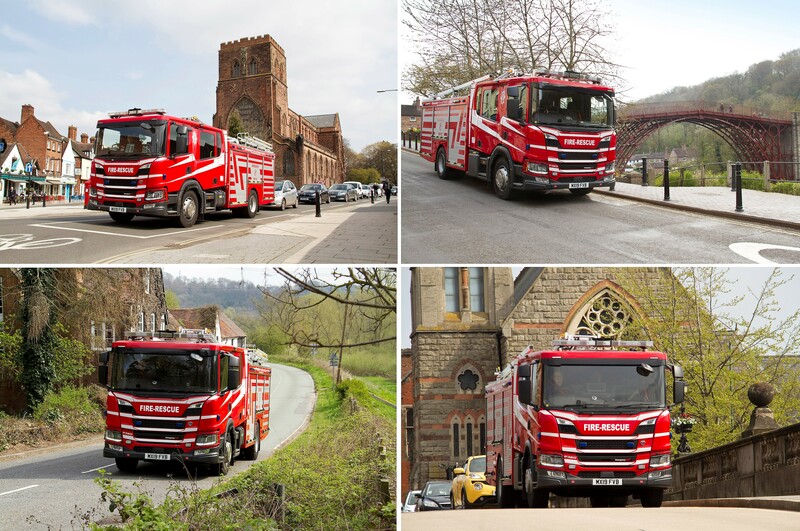 Shropshire Fire & Rescue Service has commissioned the UK’s first five new generation Scania rescue pumps into service. Two of the vehicles will be based in Telford, two in Shrewsbury and one in Baschurch. Scania is now providing training for the Service’s instructors, who in turn will deliver training to the operational crews. 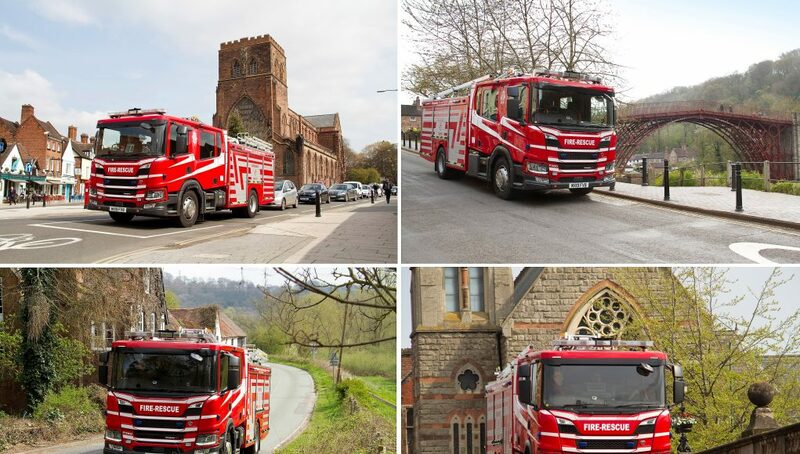 Once all training has been completed, the vehicles will join Shropshire’s 26 other Scania appliances in providing frontline fire-fighting and rescue services county-wide. Based on Scania’s P 360 B4x2NB chassis, the 18-tonnes gross vehicle weight appliances are all equipped with Scania nine-litre 360 horsepower engines driving through fully-automatic Allison MD4000 six-speed gearboxes. To maximise safety in operation, each vehicle is equipped with Scania’s all-steel crew cab, four of which are configured with six seats and one of which has nine. To further enhance crew safety, Shropshire has specified side curtain air bags which provide high levels of protection in the event of a roll-over. The appliances’ bodywork has been custom built to Shropshire’s own specification by Emergency One (UK) Limited. Shropshire Fire & Rescue Service provides its frontline emergency service to the area’s circa 460,000 residents by way of 23 strategically-located stations across the county. Of these, three are whole-time stations, with on-call fire-fighters operating out of 22 locations.